You should be aware that Bingo Master collects information about what pages you visit. It also monitors what kind of information you send via your browser. All the gathered data can later be used to generate tailored ads and display them to you. The adware application may “use an outside advertising company to display advertisements on the Site or through the Software and Service.” However, it is important to know that Bingo Master has absolutely no control over those ads displayed by an outside company. You encounter them solely at our own risk and will have nobody to blame if some content may seem offensive or inappropriate to you. The official website of Bingo Master does not work properly and it is impossible to download the application from there. Our security specialists discovered that this program can be found in bundles with other unwanted applications. If people miss the possibility to deselect Bingo Master while installing some free program, the adware application installs a folder with random name to their computers. 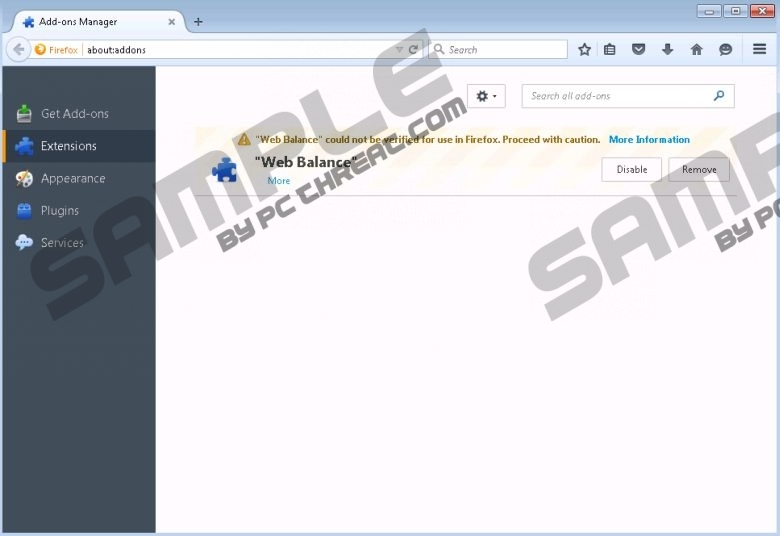 After this, it creates a Mozilla Firefox extension with the same name. Only then the tricky program starts its suspicious activities. Users should also be careful if they find Bingo Master on some freeware sharing site and decide to try this application. It even makes no secret that “During the installation process Bingo Master may offer you to install more offers and/or to add a toolbar in your existing browsers.” Please keep in mind that according to our research team the adware application may also try to promote various malicious programs. Sometimes it says that you should clean your computer from junk files by using Reimage. But the latter tool is not the most reliable PC cleaner available in the market. We even have prepared a guide explaining how users could get rid of it. So, better do not trust any software that Bingo Master offers you to install. Our analysis of Bingo Master would not be complete without explaining you how to get rid of this application. As has been already mentioned, this adware program can be hiding under various names. Please check your program list and look for any recently installed suspicious applications. If any of them match the newly installed browser extension on your Mozilla Firefox, then it should be Bingo Master. Please note that this infection does not affect other Internet browsers. After you locate the adware application, follow a few simple steps and wipe it out from your device. You will find those steps below. But you should make sure that Bingo Master did not succeed in bringing additional unwanted programs to your device. Use an official antimalware scanner and check your PC. Please note that other intrusive programs can be very hard to locate by hand, so a solid defensive tool is almost a must nowadays. In case you look for recommendations on which protection software to use, please feel free to contact us by posting your comment in a box below, or addressing us via Twitter, Google+, or Facebook. Launch the Start menu and open Control Panel. Tap the Windows key + I.
Click on Control Panel and open Uninstall a program. Click the Start button and proceed to Control Panel. Launch Uninstall a program and get rid of the unwanted program. Quick & tested solution for Bingo Master removal.